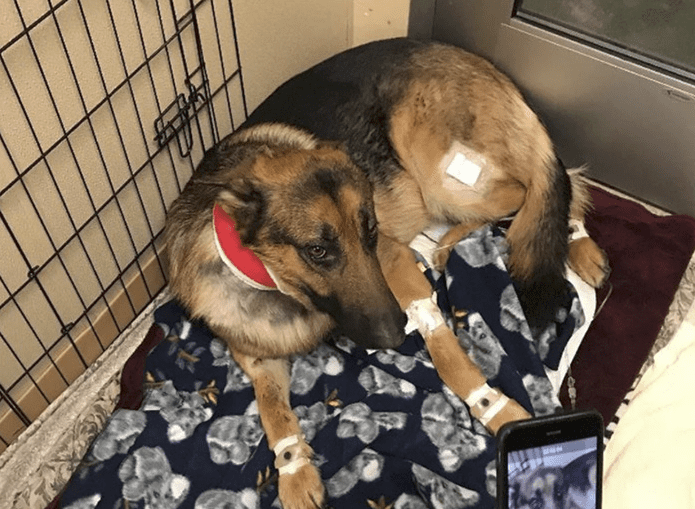 This past February, a German shepherd named Rex became a hero after risking his own life and taking three bullets while protecting his 16-year-old owner, Javier Mercado, during an armed robbery of Mercado’s home in Des Moines, Iowa. Before Rex proved that he was more than deserving of the PETA “Heroic Dog Award,” he had just a few quirks, or, what some might consider to be flaws. 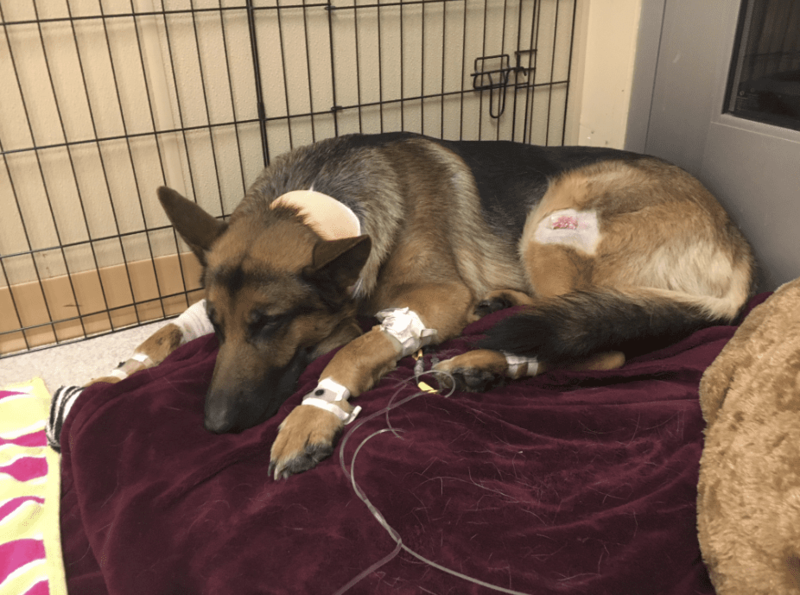 Jan Magnuson, an officer for Des Moines animal control, knew Rex pretty well before she was called to help rescue the wounded dog. This was because Rex had a reputation for being a bit of a neighborhood troublemaker. “We had multiple complaints. Running loose, no valid dog license, aggressive towards neighbors,” said Magnuson. She explained that Rex never bit strangers, but would often charge at unfamiliar people and even bark and growl. 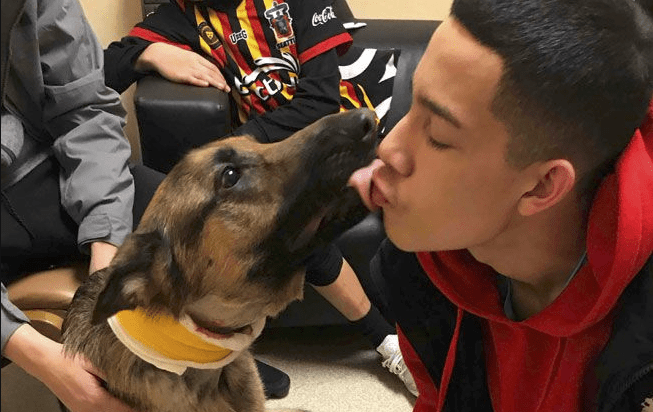 After the complaints, the Mercado family worked with Rex to correct his behaviors. They say that, now, he typically remains on a leash, and that his barking is usually just a warning to protect his family. Magnuson claimed that, after the burglars broke into the home, Rex flipped a switch and became a hero. “He was protecting his home and his family. I am thrilled that he survived. To be honest, when I first saw him, I didn’t think he’d make it,” she explained. Javier was home alone at the time of the incident. “I heard a really loud banging on the door,” he said. In a state of panic, Javier began to text his family members to see if maybe they were the ones banging on the door. Javier’s brother was at the gym, and both of his parents were at work. He looked out the window and saw a Dodge Charger parked and a man standing at his door. He knew this could only mean trouble. “I heard the sliding door just shatter,” explained Javier. “I grabbed the closest thing to me. 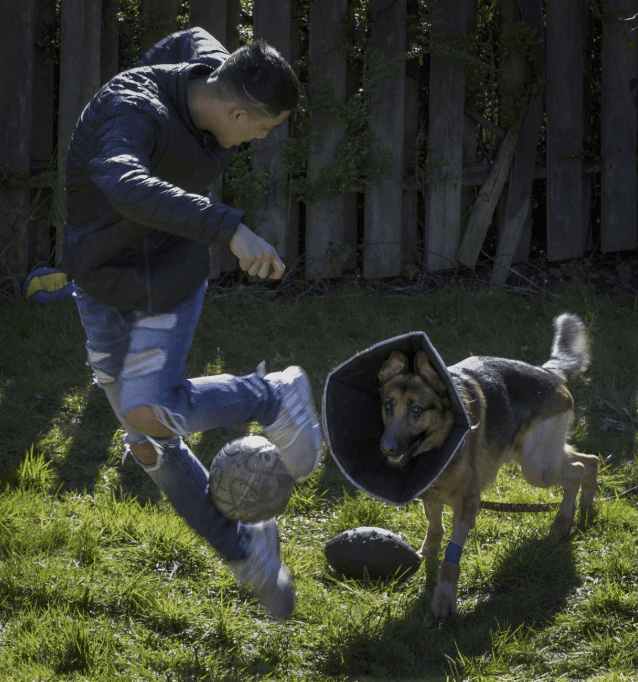 A screwdriver, a little thing, about 8 inches long.” While Javier ran to hide in the walk-in closet and call 911, Rex began barking at the burglars ferociously. Then, Javier heard one of the men shout, “Get the dog! The dog bit me!” Suddenly, four gunshots rang out. Either two or three bullets hit Rex. “He cried every time he got hit,” described Javier. Once the men began to hear police sirens approaching, they made their escape, leaving with a laptop, a 32-inch TV, shoes, clothes, and several electronics. Luckily, Rex is set to make a full recovery. 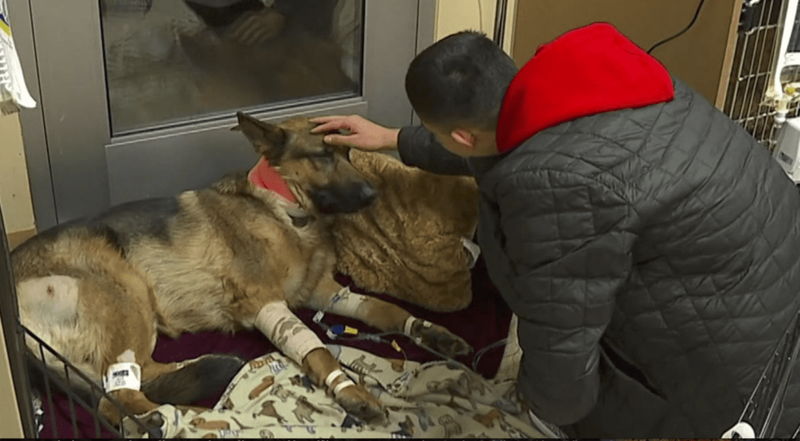 The family has since moved out of their Des Moines homes and is currently fundraising to pay for Rex’s medical bills. They couldn’t be happier to have their hero dog back!